Pat Fletcher was the last Canadian to win the Canadian Open, a feat he accomplished in 1954 at the Point Grey Golf & Country Club. Two years previous, he won the 1952 PGA Championship of Canada. Fletcher was a former PGA of Canada President, holding the position from 1962-1965. 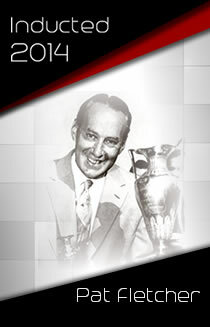 Pat was elected to the Canadian Sports Hall of Fame in 1975 and the Canadian Golf Hall of Fame in 1976.